King Of Diamonds Year Card. Destiny Cards Free Reading. 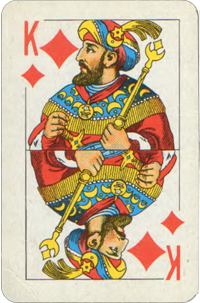 King Of Diamonds Basic Meaning: Success in business. Successful businessman, financial man, a banker or stockbroker. Strong sense of values. Great success for opening business.